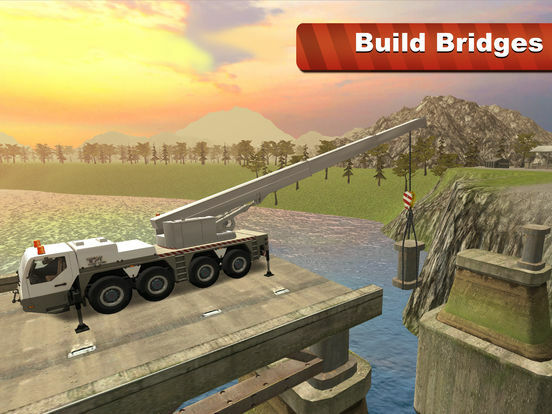 Build a beautiful bridge in Bridge Crane Simulator 3D! What to do today? Build the bridge with a tower crane! You can lift all construction details with eyes closed in our crane simulator. Help workers to build a beautiful bridge. The bridge construction is very important and they have many parts to build. Train your construction skills, you can do it with our tower crane simulator! Open new tower crane simulator levels and get new construction tasks. Build accurately, pick all construction things and deliver them to the right place. Use convenient tower crane controls to build a bridge and don't hurry, you have no time limit for the bridge construction in Bridge Crane Simulator 3D. Do you build with tower crane every day? Write us about our bridge construction simulator. Build all simulator's missions and give feedback. Take part in a big bridge construction with tower crane, lift and lower cargo and build all important objects in our simulator. 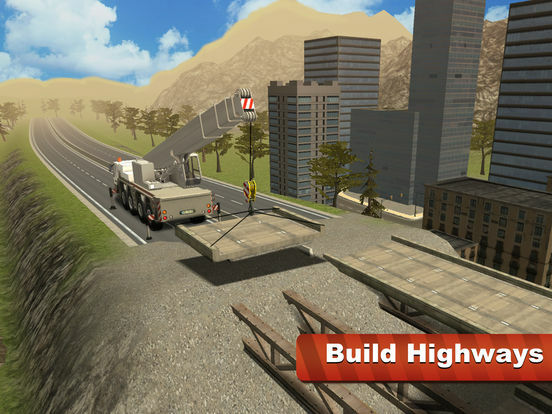 If your dream is to build a bridge, we made this construction simulator for you. Working with a tower crane is funny and challenging. 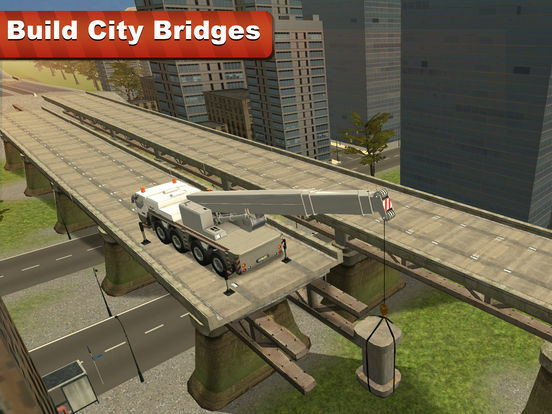 Become the best bridge crane operator in the city. Even you can't drive a tower crane or build a bridge in real life, you can build in the construction simulator. Build all bridge, don't disappoint the construction workers. Bridge construction is in progress. Many interesting tasks are waiting for tower crane in the construction simulator, it is a real bridge simulator, you know! Start loading the cargo today, or the bridge construction in the simulator will never be finished. Workers want to build the bridge in time, that is why they need you. Special man will give you all the instructions about tower crane, your task in the construction simulator is just to operate the tower crane and build the bridge. In our simulator we have piers, decks and all kinds of construction things. Have you ever tried to build a bridge? It was hard without a tower crane, indeed. 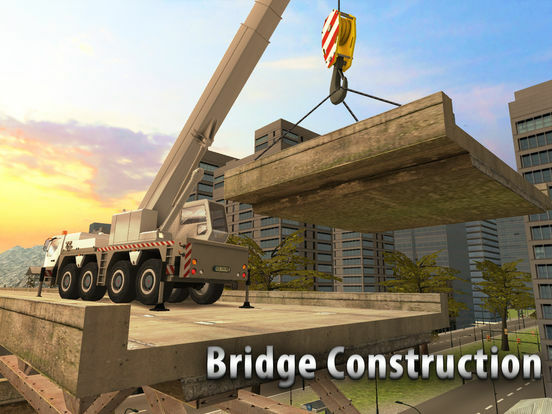 Play Bridge Crane Simulator 3D, help citizens to finish the construction!